Hey beauties! I’m putting together a small group who would love to exchange their opinions for beauty products. I am seeking individuals, both consumers and PROs, who love cosmetics and can fulfill the requirements below (more details to follow if chosen). I am working on content for future projects and publications. Survey will be available from Jan. 21 until Jan. 23 at 11:59 p.m. MST. Attend a 1 hr DIY beauty demonstration class in Central Denver on a Saturday afternoon (TBD in 6 – 8 weeks, subject to availability). The class is a $40 value and all products made will be kept by the attendees. Due to overwhelming responses, only those chosen will be contacted via email by Wednesday Jan. 24, 2017. Please fill out the contact form if you have any questions. Thank you all in advance. Stay beautiful! 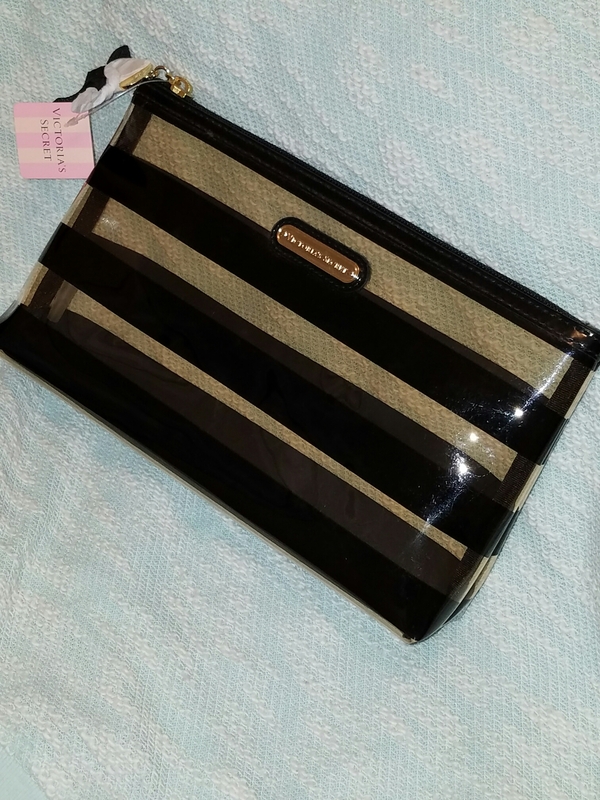 All participants will enter a sweepstakes* to win this makeup bag from Victoria’s Secret. *Rules: Promotional Sweepstakes only valid from January 21 and January 23, 2017 until 11:59 p.m. MST. No purchase necessary. Void where prohibited by law. Must be 18 years old or older. Valid for legal residents of the 50 states of the United States of America, including territories Guam and Puerto Rico. Immediate family members of the owner and sponsor, Tia Terlaje Beauty LLC, are to be excluded from sweepstakes. Winner must claim if required by law in his/her city, county, state, district, etc. Winner forfeits prize if s/he does not provide valid mailing address by January 31, 2017 by 11:59 p.m. MST. Website assumes no responsibility for incorrect data or delayed/lost/stolen mail. Odds will vary. The opinions and content were not influenced by any form of compensation. Facebook, Instagram and SnapChat have no affiliation to this sweepstakes. Owner reserves the right to publish winners. The prize(s), product brand(s) and parent companies (Victoria’s Secret and L Brands) have no involvement in this sweepstakes. Winner will be contacted directly. A list of winners may be obtained by submitting a SASE postmarked by January 31, 2017 to: Tia Terlaje Beauty LLC, ATTN: #DIY Group, PO BOX 44204, Denver, CO 80201. Previous Post #ExtremeCouponing : I saved 88% at Victoria’s Secret! Next Post Almay makeup wipes for 84% off!